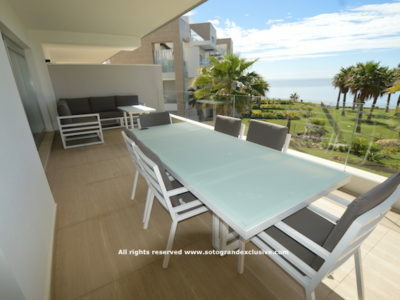 Exclusive Sotogrande holiday rentals to spend your best free time! As you might imagine, a resort of Sotogrande’s exclusivity and calibre has some seriously upmarket villas for those looking for spacious and stylish surroundings that have what can only be called the wow factor. What could be better than to spend your free time in one of our exclusive villas and live the dream. All of our exclusive holiday properties in Sotogrande have been carefully selected. All our villas, apartments and townhouses are built to a high standard and are beautifully furnished. They are all officially licensed by the Tourist department of the Junta Andalusia, i.e. Junta Turistica de Andalucia. They are fully equipped with the latest technology and many of the villas’ amenities are controlled at the push of a button. They all have private pools and beautifully landscaped gardens where you can relax in a luxurious setting. We only select the very best luxurious properties in Sotogrande to rent for our clients – if it doesn’t meet our own high standards, we wouldn’t offer it to our clients. Sotogrande holiday villa rental | Ibiza style Sotogrande!